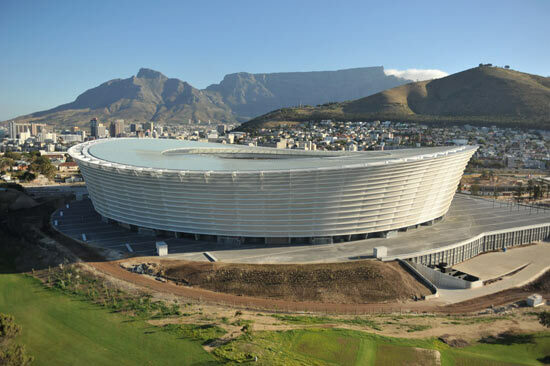 The Green Point Stadium in Cape Town, South Africa was an 18,000 seat multi-purpose stadium. 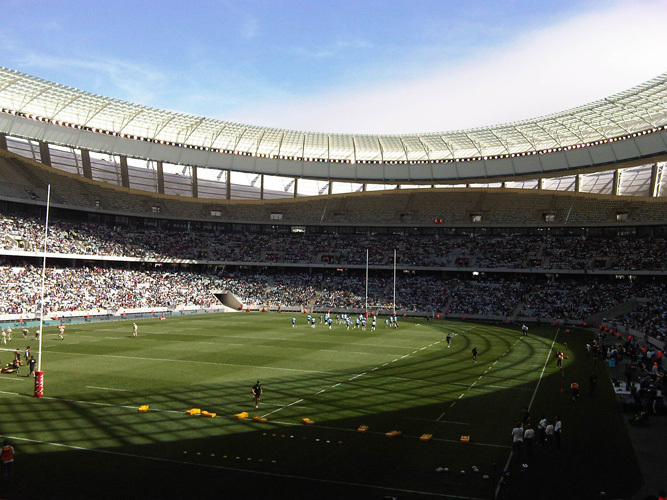 The stadium was used mainly for football matches, and was the home ground of Santos Football Club and Ajax Cape Town at different points. It was also used by local schools such as CBC, Ellerton, de Kuilen and Sea Point High School to host their annual inter-school athletics competitions. 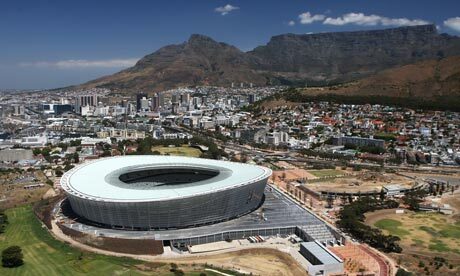 It was partly demolished in 2007 to make way for the Cape Town Stadium for the 2010 FIFA World Cup. 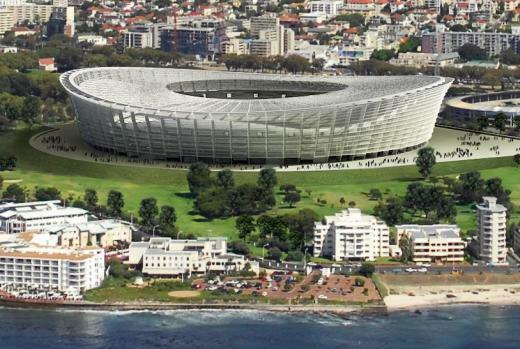 A section that was not demolished forms the basis of the new Green Point Athletics Stadium. 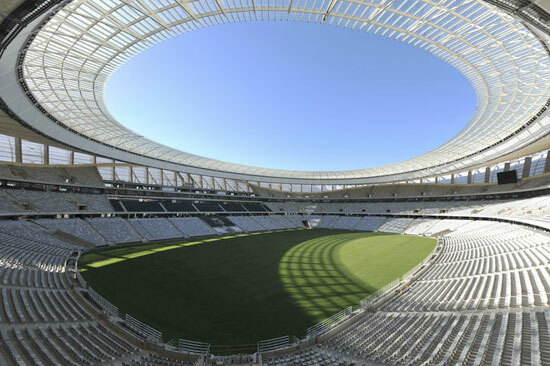 This new stadium can seat 7,000 people. The new main stand is built on top of the old main stand. The project was completed in early 2013.